Healthy diet of children should be an important task for any parent. For school age children it is important to know when and how much to eat, and since early childhood should be used to the three main meals and two snacks. But for your youngster you control their nutrition and portions. 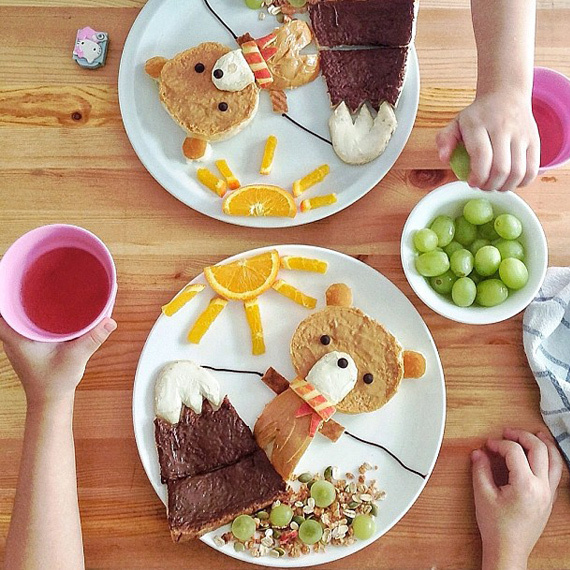 Healthy food for children from one year to three years. As your child grows, from one year to three years there is a sudden physical and mental development. How to strengthen the muscles of your children, his brain has to deal with more complex activities, such as walking and talking. To ensure the healthiest possible growth and development, it is necessary to give him a balanced diet. The needs of the child from one year to three years for food are different from adults. If they want their child to have healthy meals, parents should be aware of the needs for food of children aged one year to three years. This should be considered when planning meals for the family. Do not add sugar and salt in your children meal. Children aged one year to three years should consume less than 2 grams of salt per day, which is 1/3 of the maximum daily amount for adults. Because this is considered to be food for adults unsuitable for children aged one year to three years. We recommend that you do not add salt to any meal that you save for your child. It is absolutely right that your child eats foods that contain sugar, such as fruits, vegetables and milk, but avoid giving them foods with added sugar. Vitamins and minerals for children aged from one year to three years. Children aged one year to three years have a much greater need for certain nutrients than is the case with adults. For example, compared to adults, they need about four times more iron, three times more zinc and nearly six times more calcium (per kg bodyweight). Size portions of food for children from one year to three years. With a belly that is at least three times less than that of an adult, your toddler needs to eat often and little. Children in this period of life, grow rapidly and become more active, and they therefore need more calories (energy), and nutrients. Three small, balanced meals with regular snacks will provide them with enough energy and nutrients they need during the day. More fat, less fiber. Your youngster need a diet including more fat and less fiber – the opposite of the kind of diet that is necessary an average adult (see our article on fat for children). Although the fibers are good for adults, too much fiber can saturate your child and prevent him to introduce other foods that would provide energy and provide the nutrients it needs.